As of a few short days ago, Pennsylvania’s Superior Court dismissed the SLAPP suit I have been a named resident in for quite some time. It has been over the Bishop Tube site in East Whiteland Malvern/Frazer. The original suit was filed June 27, 2017 in the Court of Common Pleas in Chester County by the site developer. In August of 2017, Judge Sommers, the judge who presided over the case in Chester County dismissed the suit. After that, an appeal was filed by the developer’s attorneys in Superior Court. birthplace of our American freedoms, I find that deeply troubling. As a blogger, I have been aware of SLAPP suits for years. This year, I became embroiled in one, in Chester County, where I live. 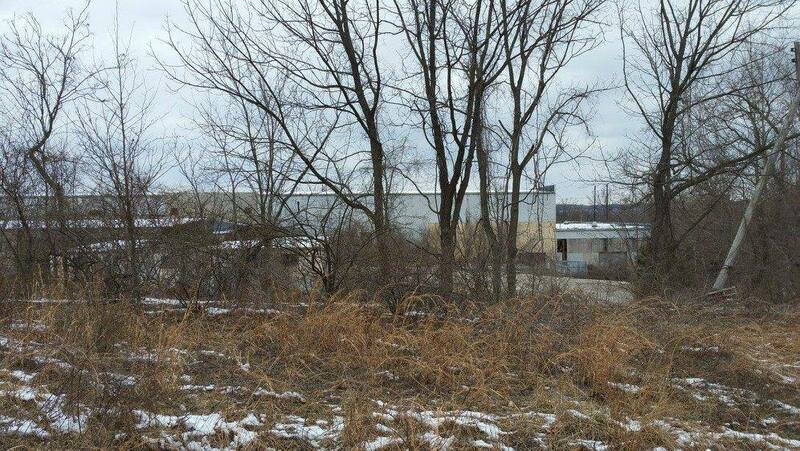 The suit is over the potential development of an old factory site in Malvern, East Whiteland Township known as Bishop Tube. I am a resident of East Whiteland Township. this site. 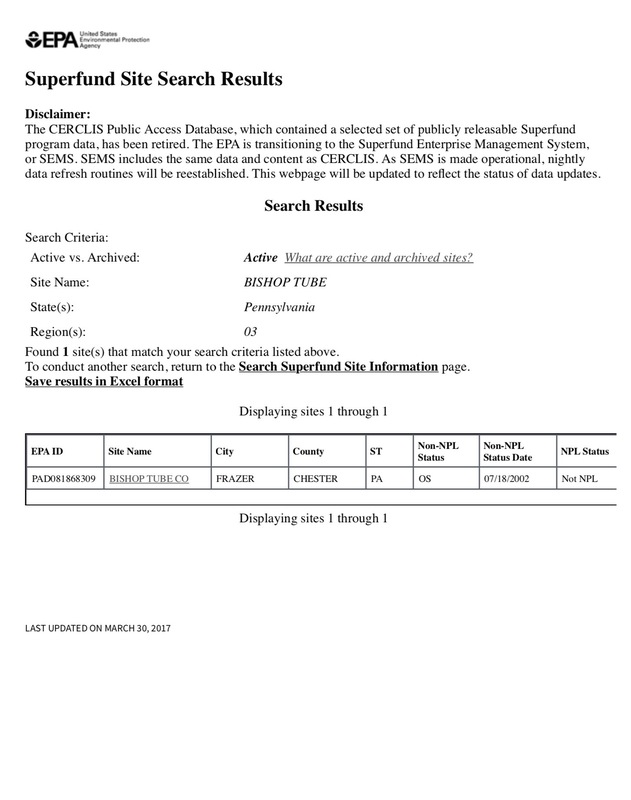 (Reference the PA DEP website’s Bishop Tube page). be able to express my opinions and/or ask questions. SLAPP suits are an invasive, fearsome kind of thing. Finding oneself in the middle of something like this feels like you are being bullied and harassed. It can also be unbearably costly. Frequently the suit bringer hopes this is what will defeat you. Mostly, it makes you wonder about the good and honor of human kind. involved, and I think it does take great courage. Our American freedoms are a real thing, not just lofty ideals tucked away in a 200+ year-old vault. Think about that as we are also on the eve of 9/11. Never forget September 11, 2001. This is yet another date in the annals of U.S. history which will live in infamy. Remember all those souls and first responders who lost their lives. They lost their lives because of our American ideals and freedoms even if they were not lives specifically lost on a battlefield in combat. I can’t believe tomorrow it is 17 years already since 9/11. I will close with saying thank you to Maya van Rossum and the Delaware Riverkeeper Network and their amazing lawyers, Mark L. Freed and Jordan B. Yeager of Curtin & Heefner LLP. I will also thank my own attorney, Samuel Stretton of West Chester. Our inalienable rights as Americans exist for good reason. Hopefully this issue is now at a close, but again, who knows? We live in strange times. Social media page screenshotted above FIRST is one of the many pages which I follow. I am not an administrator or page owner. The SECOND screen shot is from the public docket –Case #2017-03836-MJ. The developer has filed for reconsideration. CLICK HERE to find out about the bill and please contact your State Representative in PA and urge their support. Residents in Chester County, please contact YOUR state representative and urge passage of this legislation. CLICK HERE to find out who represents YOU as a Chester County, PA resident. CLICK HERE for the link to the PA DEP page on Bishop Tube. Earlier this year, I was hit with a Cease and Desist in the form of something known in legal circles as a Writ of Summons. It was issued on behalf of developer Brian O’Neill and Constitution Drive Partners over the Bishop Tube Site in Malvern/Frazer in East Whiteland Township. It was sent to me by the West Chester and Chester County law firm of Lamb McErlane. Yes I know Maya. I used to live not too far away from her before I moved to Chester County. She lives in Radnor Township and I once lived in Lower Merion Township. As I have previously stated, Maya van Rossum is one of the most ethical, dedicated, and smart women I have ever met. I am honored to know her. Within a couple of days of that February 27 meeting, I injured my knee seriously enough to require surgery. My injury was to my right knee which meant I did not drive or even truly walk again until quite recently and even now the distances are brief. As I sat on the sidelines (which included NOT attending public or other meetings), many more public meetings happened. The whole debate of the Bishop Tube site in East Whiteland raged on (and continues to do so seemingly.) The DEP has been weighing in, along with State Representative Duane Milne, State Senator Andy Dinniman, even East Whiteland Township Supervisors. This is democracy in action. When people take an interest in where they live, it is a powerful force. It is not easy for the residents involved, and it does take great courage, I applaud them. I am not the only one experiencing this (even on this topic) but when you are faced with this it feels so very and truly personal. Because in a way, it is. It is a challenge to those aforementioned freedoms we as Americans (regardless of political and religious persuasion) hold dear and even at times…take for granted. It is because of situations like this I believe municipalities need to do better by us as residents. It is because of this that those we elect to the most basic of municipal levels, including the State House, State Senate, U.S. House and U.S. Senate need to do better by us. As a perennial student of history, I have faith that the truth will indeed out. And I do indeed have representation. Mr. Samuel Stretton. A gentleman whose career I have followed off and on for many years and now have the privilege of knowing. Any questions may be directed to him. I just thought it fair to let you my readers, neighbors, friends, and family know what was going on. This is important to take note of, because it PROVES there is ANOTHER way then straight cram plan developments. 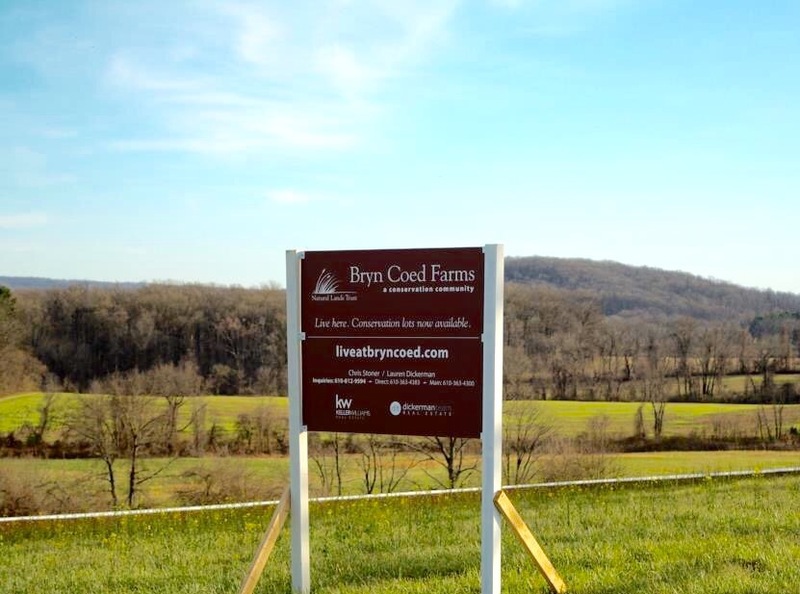 Chester County has been overrun by greedy developers. For perspective remember that size-wise Bryn Coed is like a giant super-sized Chesterbrook. If not for those who care, like Natural Lands Trust, you would be seeing “coming soon” signs for developers like Toll Brothers. 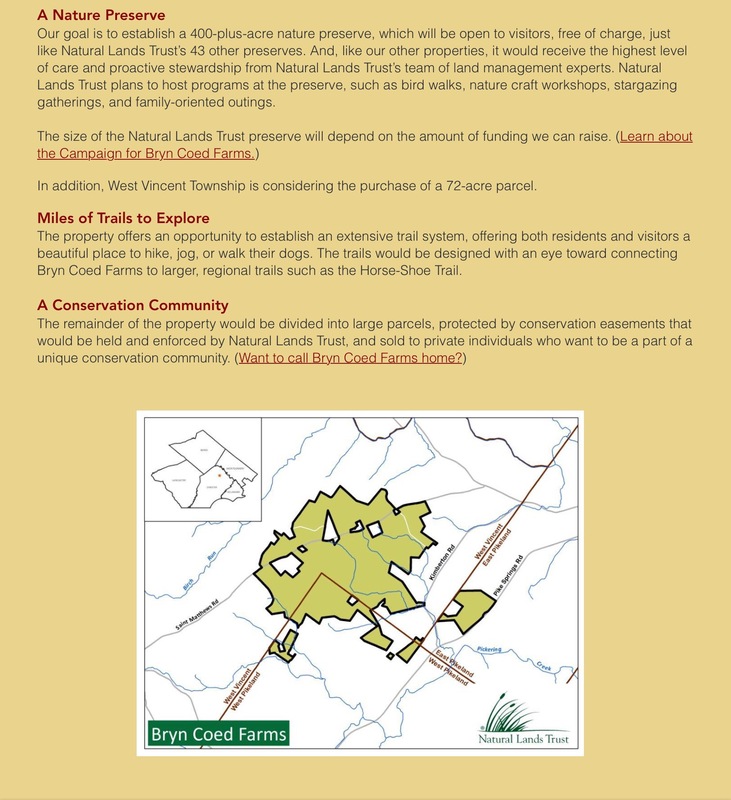 These screen shots are from the Natural Lands Trust Bryn Coed Farms website. Imagine living in an expansive, conserved landscape with a thriving nature preserve and miles of trails just next door. That is the unique opportunity available at Bryn Coed Farms. 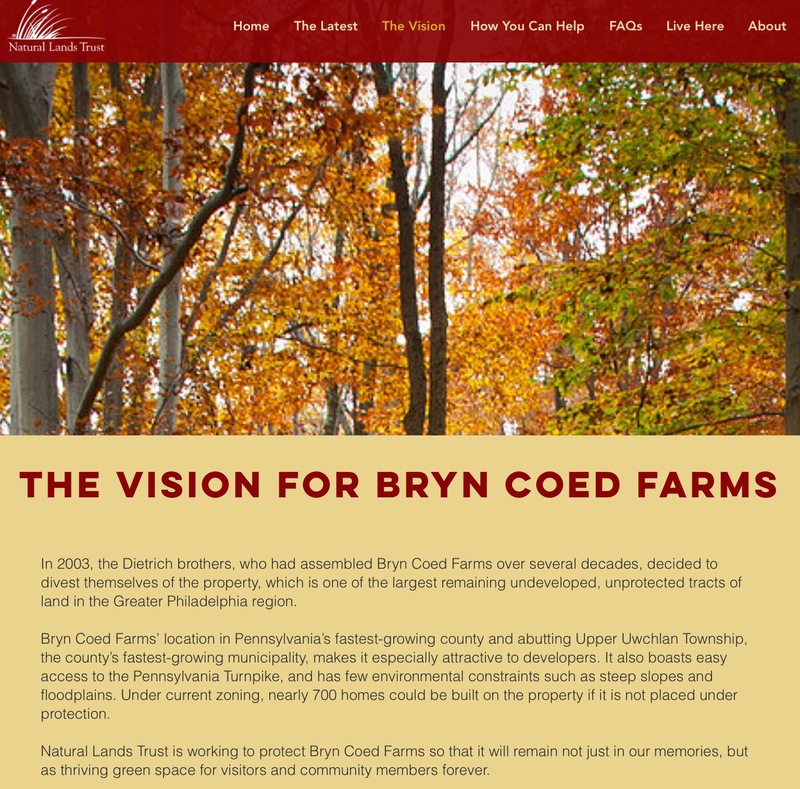 In order to preserve as much of Bryn Coed Farms as possible, a number of large conservation properties will be made available to individual buyers. Each property will be placed under a conservation easement to be held and monitored by Natural Lands Trust, ensuring that the land is protected in perpetuity. Seems like a revolutionary idea, doesn’t it? It’s not. 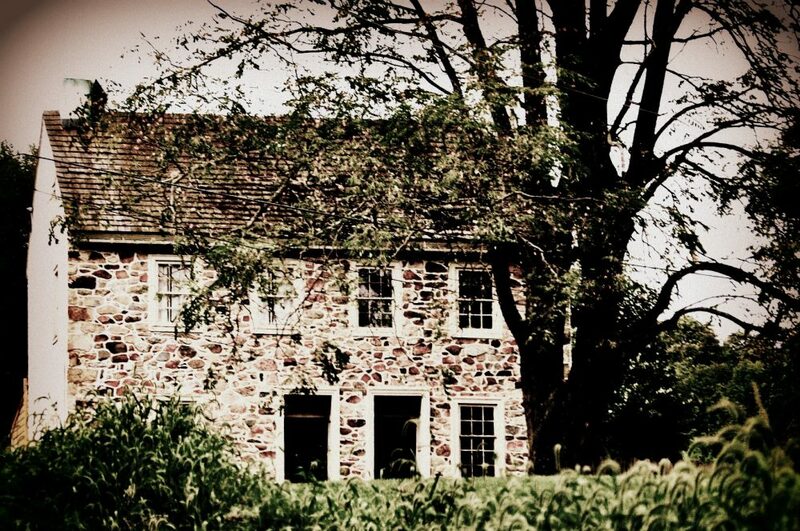 It’s how parts of Ardrossan are staying intact in Radnor Township and it is how large swaths of countryside and history in places like England remain intact. It is a viable solution to developing every square inch. It’s a compromise point. Now critics will say more land should be saved with these plans and maybe they aren’t necessarily wrong , but this IS a viable compromise in my opinion. Imagine if the Robinson Family did this at Crebilly, for example? Or imagine if say developers who want to develop the Bishop Tube site chose a plan like this versus doing things like picking on me for wanting the best clean-up possible? The Natural Lands Trust has once again proven, there is another way. Asleep after a long day at her social-work job, Peggy Miros was jolted awake by a booming voice through a loudspeaker urging her and her neighbors to evacuate their homes. A cloud of toxic gas had formed when chemicals accidentally combined at the steel tube manufacturer next to her housing development in East Whiteland Township, Chester County, in the early morning hours of June 9, 1981. In the sultry air, a steady southwest breeze exported the chemical mist toward General Warren Village, 500 yards away, before the cloud dissipated. 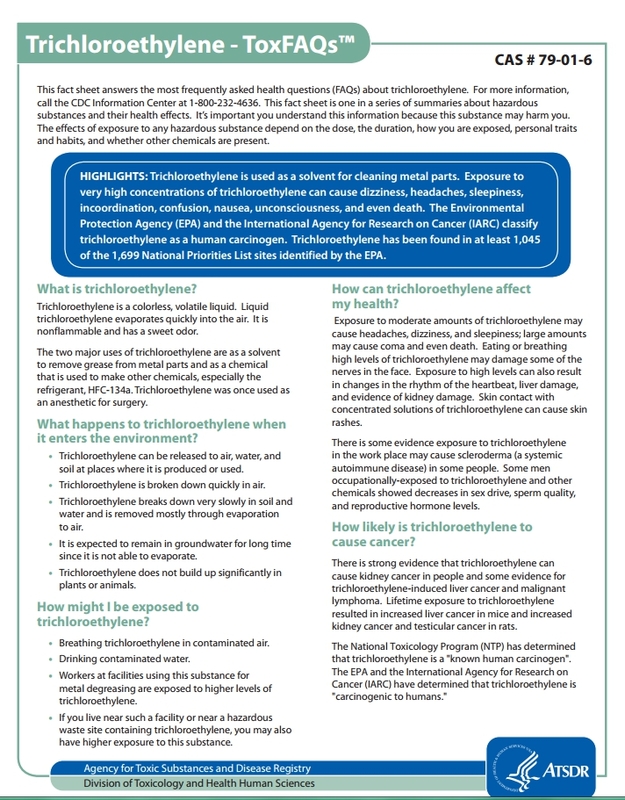 Some of Miros’ neighbors went to the hospital with nausea and skin irritation…The EPA later found trichloroethylene (TCE), a degreasing agent linked to cancer, in the property’s groundwater. 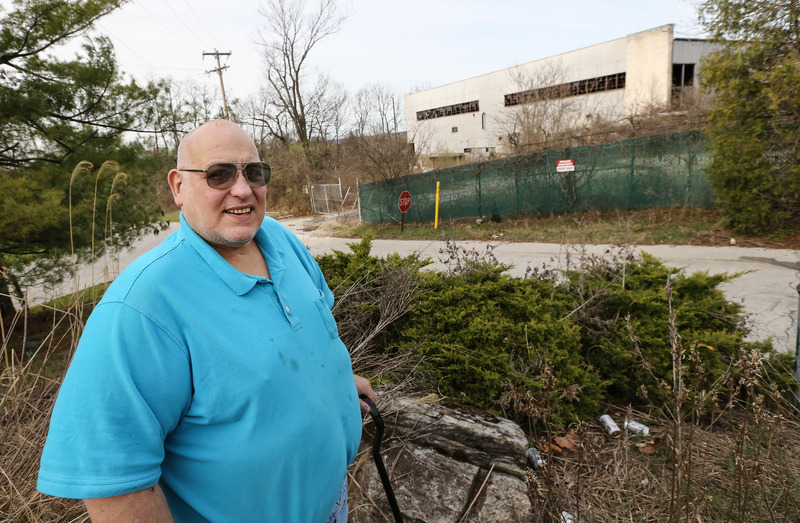 The former Bishop Tube Co. site, which produced stainless steel tubes from the 1950s until 1999, now is host to graffitied and dilapidated buildings, shattered windows, cracked concrete, and overgrown vegetation, one of more than 450,000 contaminated “brownfields” across the nation. 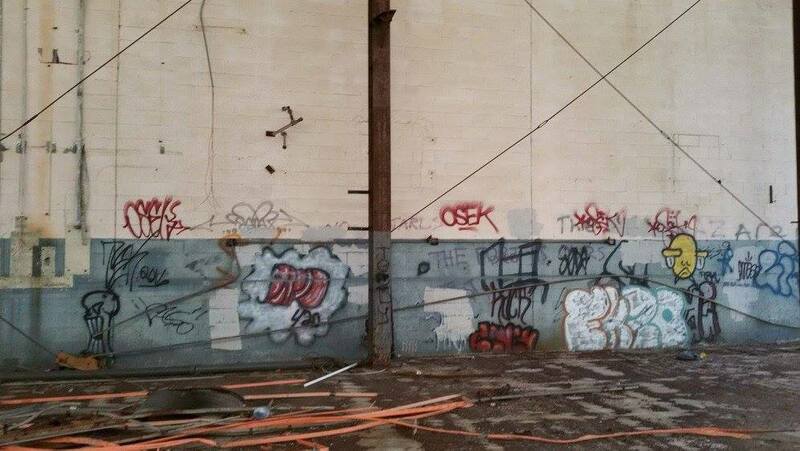 …Given the site’s history, residents are wary of plans for the property. Neighbors say they fear their families and any new residents could be harmed if workers disturb the polluted soil without removing every bit of contamination. Last month, 40 people gathered for the first time in the home of one of their neighbors to plan a coordinated effort to oppose the project. “These people know what they’re talking about and they have a right to be concerned,” said Maya K. van Rossum, leader of the Delaware Riverkeeper Network, who became involved after residents asked her for help. Read the entire article. 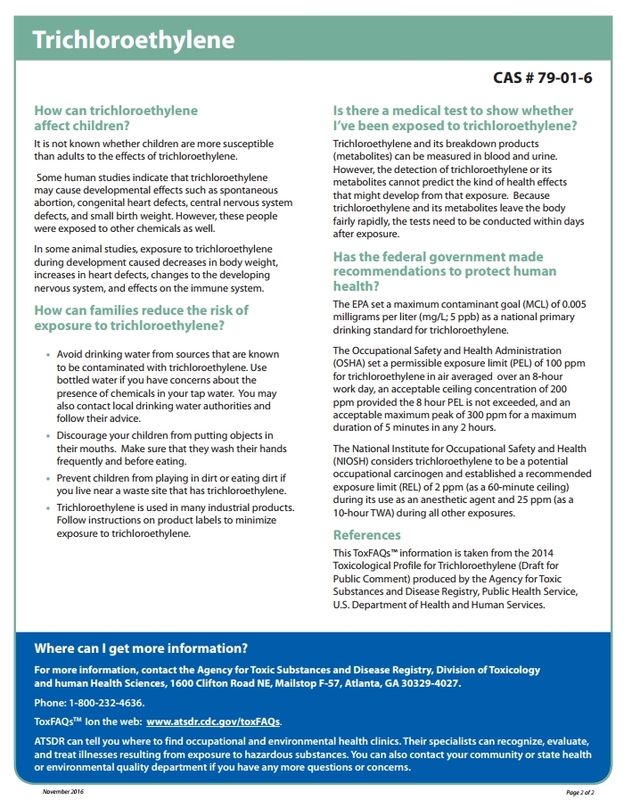 Contact the Delaware Riverkeeper Network and East Whiteland Township today if you think more needs to be done with Bishop Tube, Ok? It’s so confusing when developers decide to blame the blogger, isn’t it? I feel so Erin Brocavitch…. And I am confused because this developer refers to his neighbors in General Warren so I have to ask does he no longer live in Lower Merion Township? As a “newcomer” resident of Chester County, am I supposed to be the perfect Victorian woman and be seen and not heard? No, I haven’t written lovely large checks to the wonderful and deserving East Whiteland Fire Company, does that make me a bad person? I do not write the flyers going out. I have expressed my opinions on my blog. Opinion is not against the law is it? The First Amendment still exists right? Maya van Rossum is one of the most ethical and dedicated and smart women I have ever met, I am honored to know her. She is the Delaware Riverkeeper and it is her job to know about these sites like Bishop Tube. The ultimate irony for me is I am a cancer survivor. I do not wish cancer treatment on anyone. Ever. That is why TCE terrifies me. So is that making me a bad person for caring? The other thing is I have never said don’t develop the Bishop Tube site. I have said do lots and lots of clean-up based on past news articles and other documents and things like first hand accounts from former Bishop Tube employees and why is that bad? I have said I thought it was too much proposed density and why not an alternate, non-residential use but that is my opinion, yes? So I am sorry the developer thinks I am being unfair, I think I am being justifiably concerned, and is that bad? 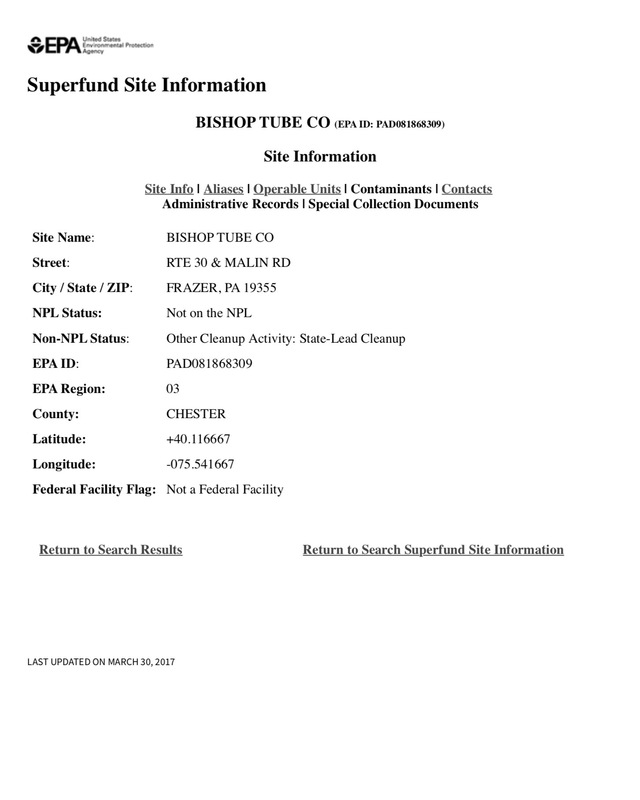 delaware riverkeeper to pa dep: can you hear us now about bishop tube? Hey Erin Brocavitch can we interest you in a little good old PA TCE??? ?